Railpictures.ca - Paul Santos Photo: Originally built as Chicago North Western 6910 this SD40-2 would receive STL&H markings in 1998. | Railpictures.ca – Canadian Railway Photography – photographie ferroviaire Canadienne. Caption: Originally built as Chicago North Western 6910 this SD40-2 would receive STL&H markings in 1998. One of the three “Ugly Sisters” on CP. 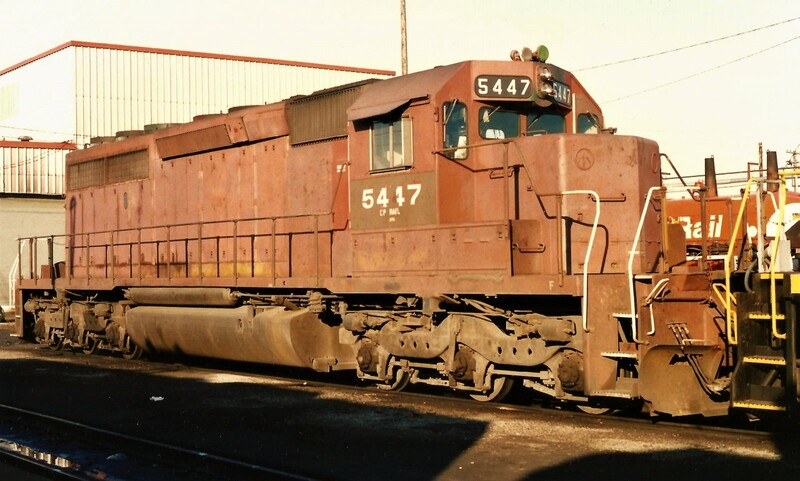 5447, 5448 and 5449. And it never got any prettier as time went on, but at least the St.L&H patches covered the horrible-looking hand-painted “CP” it received later.